Fluffed up content is everywhere. People catch on to online trash like this pretty quickly. And although a skim through your own news feed may lead you to believe otherwise, people are smarter than ever. We can all easily spot a brand being fake, and it’s not a good look. As brands, we need to stay as far away from dishonest content as possible, but this isn’t any sort of groundbreaking advice. So take the honesty and transparency a step further. Get honest and real about your product or service whenever you can. Go behind the scenes and humanize your brand with your social media content. If you sell a product, share stories about how you make it. Tell people where the materials come from, how you manufacture, or how you design the things you want them to buy. If you’re a service, share the work that goes into creating your customer experience. If you’re an influencer, post an unedited photo from your actual phone once in a while. Come on Kylie… you live in the United States of America where cereal is literally a food group. This kind of pandering for online attention is incredibly contrived, and can damage your reputation, even as a celebrity. Case in point: mere minutes later Kylie was called out on several blogs and in tweets for posting an instagram of cereal with “probably milk” in 2015. And although it may be entirely possible that it was yogurt (we’re not food identification experts, but we’re also not idiots) it’s just so unlikely she’d never had cereal with milk before the tweet in question. Fundamentally, the entire point of marketing is to create an opportunity for sales, and your social media marketing strategy shouldn’t be any different. But it’s really easy to get caught up trying to turn every online interaction into a quick sale or a conversion by tossing a “Buy Now” call to action on everything. When it comes to conversions or sales, try playing the long game with social media every once in a while. Strike a balance between posts that are meant to convert or sell quickly, and posts that are meant to simply connect with your audience. 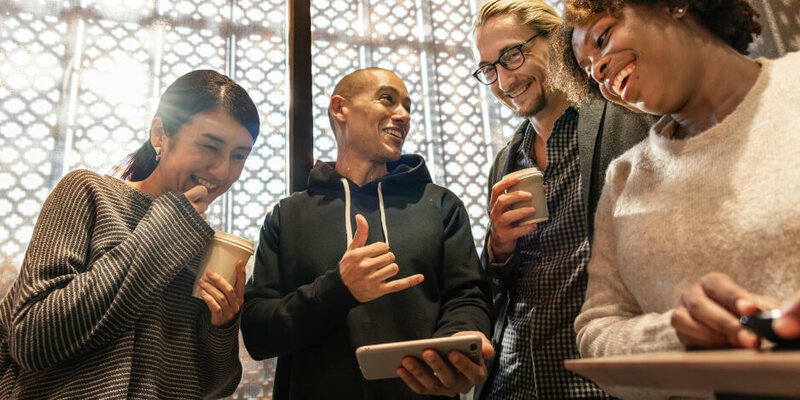 Creating positive brand moments using interesting content creates connection, and makes people feel like they’re part of your brand. And if people feel like they’re part of your brand, where’s the first place they’re going to go when they need whatever you have on offer? We’ve all been there. An accidental typo, a reply that wasn’t well-articulated, or a post that just goes over like a lead balloon. Social media blunders are typically pretty innocuous, but mistakes that can damage a brand’s reputation faster than you can say Cambridge Analytica are entirely possible. It can happen to anyone, and when it does, your first reaction might be to delete the offending content, and forget about the entire thing. But here’s a little not-so-secret secret: you really can’t delete anything on the internet. The second you post it, it’s permanently burned into the metaphorical eyes of the web. So, in the unfortunate event that you do have a bit of a fumble, own it. And figure out the best way to fix it. If your social media flub is serious enough, jump into PR mode and do a little crisis management. Even in pretty serious situations, owning up to the mistake and sincerely apologizing for it can help repair some of damage that’s already done. Do what you can to fix the issue, and make sure your audience knows what you’ll do in the future to make sure it doesn’t happen again. Also, when you get late-night anxiety about the whole situation, keep in mind that social media content moves at a rapid pace. It’s only a matter of time before someone else does something stupid and the world moves on to that. In less serious situations like a typo or a factual error, simply own it by correcting it. If you can turn the situation around, or even turn it into a joke, give that a go too—especially if it suits your brand personality. People love jokes, and a some self-deprecating humor is fun once in a while. Pretending like things never happened, especially when the blunder is quite serious, can cause a pile of problems later. Owning up to mistakes makes it clear that there are real people behind the curtain, and it humanizes your brand. We get it. The struggle to prove ROI with social is real and if we don’t, we’re just “doing an Instagram” and we all know, that’s not what social marketing is. So what do we do? We create content that gets engagement. There’s no sure-fire way to know if a post will get the engagement that you hope for, but there are a definitely few hacks that have trended. Some of them are fun—like posting a timely meme (perhaps of Lilo dancing in Mykonos, you’re welcome for the idea)—and some of them are just obnoxious. Like clickbait. Because of these mostly-terrible trends, we’ve gone through several bouts of content pollution. When brands try to hijack these flippant online content storms, it quickly becomes tired and your content just comes off as trying too hard. Have you ever seen a brand try to turn a meme into an ad? Case closed. If your social content is there just to collect views, clicks, or likes, you should rethink your strategy. You’re better off not posting anything, than posting sub-par content just for the sake of gaining clicks. Take the time to put together a well-planned social media content calendar, and make sure all your posts will resonate with your audience. Remember each and every post should be worthy of being permanently attributed to your brand. Your social content is deeply ingrained in your overall brand, so make sure it’s great. Take the time to plan and build an authentic social media presence using Hootsuite. Schedule all of your social media posts in advance, engage with your followers, and track the success of your efforts. Try it free today.